Cartoon about the financial crisis in the euro zone, especially in Greece. Chris Madden cartoon showing the ancient Greek statue or sculpture the Discobolus, or Discus Thrower, by Myron as a metaphor for Greece and the Greek economy, with the discus replaced by a euro coin which the discus thrower has dropped. A pedantic note – the statue of the Discobolus in the cartoon has got the head pointing in the correct direction – most versions of the statue in existence (all are Roman copies of the lost original) are reconstructed from fragments and have the head looking forwards and down, which was found to be incorrect when a nearly complete version was uncovered. The cartoon is about the possibility of the Greeks dropping the euro. 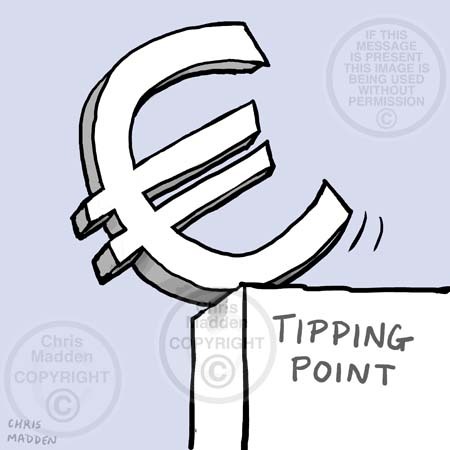 The dropped euro has cracked the plinth on which the Greek statue stands, and the euro coin is bouncing into a dustbin (which mirrors the shape of the plinth on which the Discobolus stands. 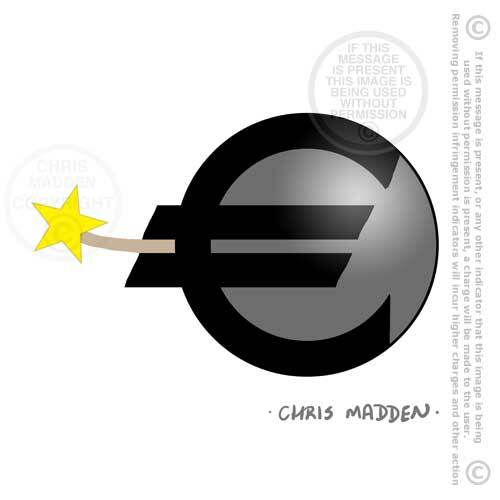 Chris Madden cartoon about the financial crisis in Greece, political cartoon about the eurozone falling apart. Warning – Thieves Operate in this Area! Cartoon about the dubious morality of some areas of banking and the financial sector. The cartoon likens bankers and financiers to thieves or robbers. 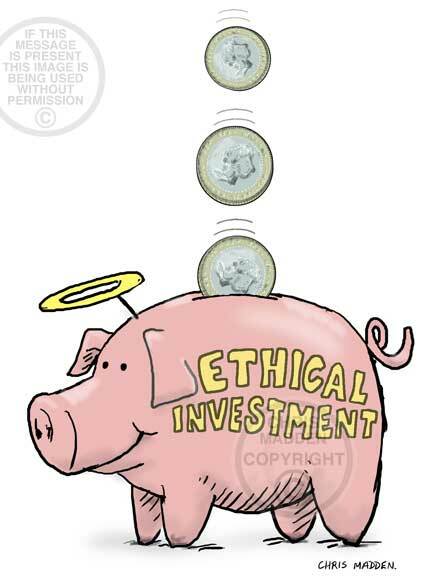 The cartoon is an illustration of one aspect of the current popular image of bankers – that bankers are greedy and amoral and are only interested in their bonuses. Cartoon about bankers’ bonuses. Showing a banker holding a bonus, with the ground beneath the banker cracking under the weight of the bonus. 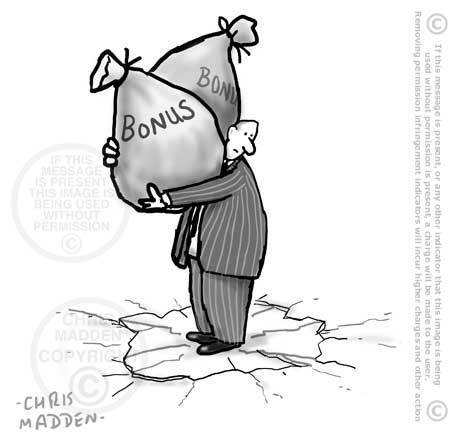 A cartoon about large bankers bonuses and the effects of the bonus culture. 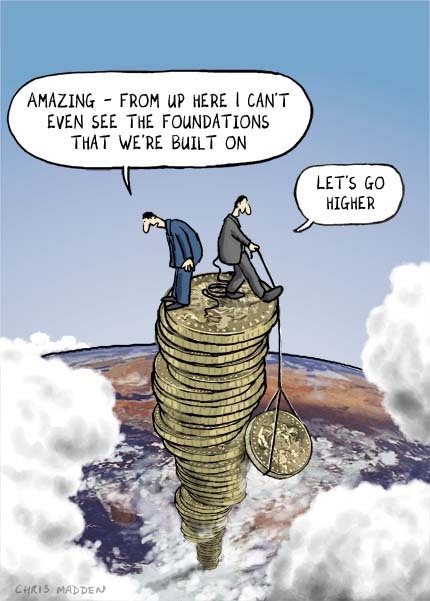 Bankers’ bonuses and salaries are so grossly inflated that they are destabilising the economy and are causing economic and social fracturing (symbolised in the cartoon by the fact that the ground beneath the banker is fracturing and cracking due to the large size of the banker’s bonus, thus destroying the economic base on which the economy is built). The cartoon is an illustration of the social and economic instability that is resulting from the runaway growth of bonuses and top salaries under the current unregulated version of the capitalist system. An editorial illustration about the eurozone debt crisis. 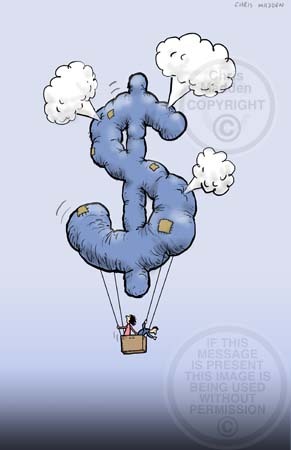 A cartoon showing the euro coin as a balloon plunging downwards. 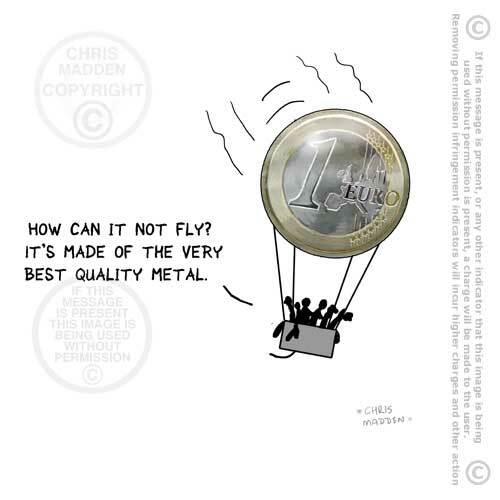 The balloon, being made of metal – like the euro coin – is too heavy to fly, and thus it is plunging downwards. The idea behind the illustration is that the design of the european currency, the euro, is fundamentally flawed as it didn’t take into account fundamental issues of financial structures within the European community (the eurozone) or politics. This is symbolised by the fact that the balloon is incapable of flying. The flat euro coin has to be transformed into a sphere for it to become a balloon. The ambiguity of the flat form of the coin and the spherical form of the balloon is a deliberate aspect of the cartoon. An editorial illustration about the eurozone debt crisis. 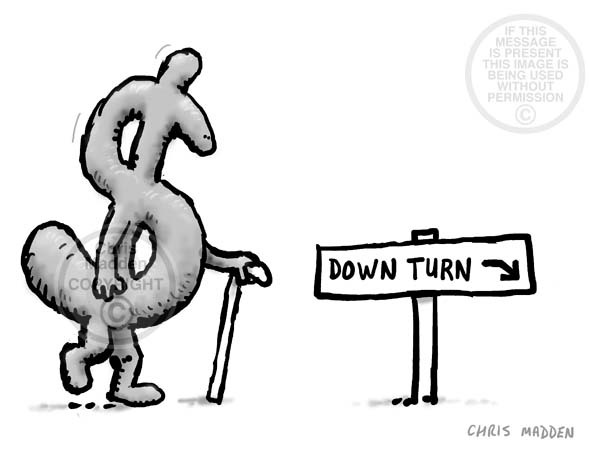 A cartoon showing the euro slipping down a slope. 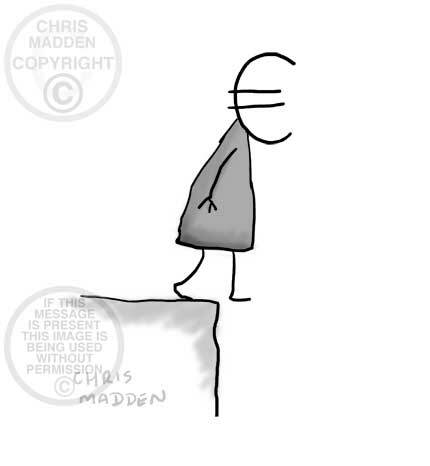 A cartoon showing the euro symbol on a slope (representing a downward graph). A cartoon about the eurozone debt crisis, the debt in the euro zone. An editorial illustration about the eurozone debt crisis. 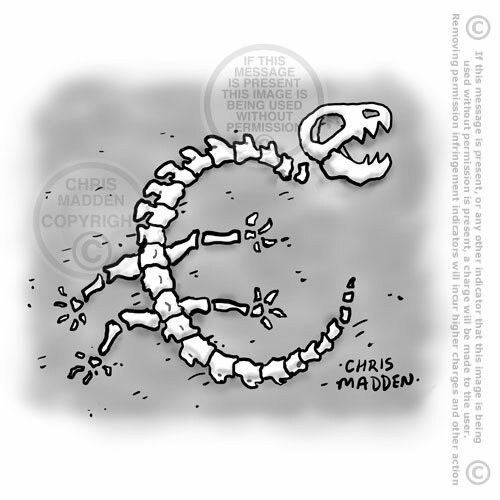 A cartoon showing the euro as dinosaur bones – implying that the euro may be about to become extinct in the near future. A cartoon showing the euro symbol as a dinosaur fossil. An editorial illustration about the euro zone debt crisis. A cartoon showing the euro as a ‘cartoon’ timebomb. The cartoon includes a fuse to the bomb, with the spark on the fuse as a star (one of the stars in the eurozone symbol that represent the countries within the eurozone). The implication is that one of the countries in the euro-zone will somehow detonate the bomb (or escalate the euro crisis). A cartoon about the debt in the eurozone and the euro debt crisis. An illustration showing the symbol for the European currency, the euro, as the wheelchair on the disabled access sign. If the euro symbol breaks the chain (symbolising the European community will fall apart. A cartoon showing the author of a book about overpopulation realising that the more people there are on the planet the more potential purchasers of his book there are. Cartoon about anti-capitalism protest camps, such as the one at St Paul’s cathedral. 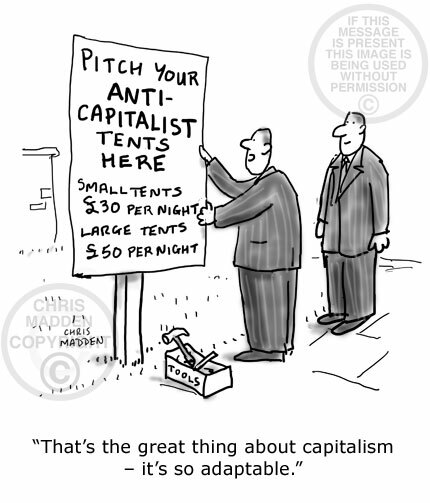 A cartoon showing an alternative campsite for the anti-capitalism protestors being set up by businessmen (possibly in anticipation of the anti-capitalism protestors being evicted from their original protest campsite). First published in Private Eye magazine, December 2011. A cartoon showing low-paid immigrant workers (vegetable pickers) attempting to use the same negotiating tactics as bankers. The tactic is to threaten to move abroad where the remuneration may be greater. Cartoon. 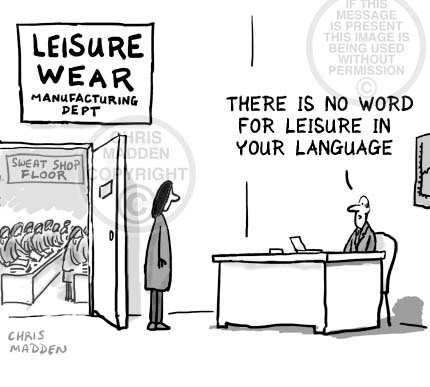 Workers in a sweat shop complaining about conditions – they aren’t allowed to buy second at a discount. A cartoon about the conditions in garment factories in the developing world, where clothes are made cheaply for the western market using cheap labour. 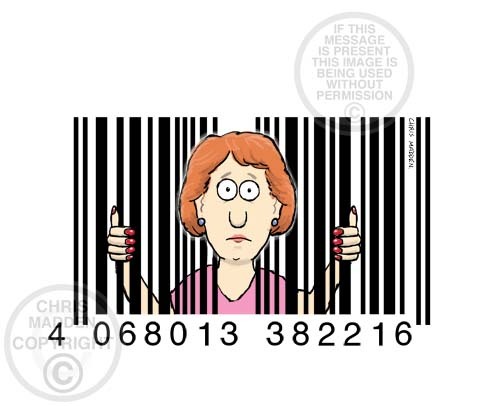 A cartoon about globalisation, free trade, consumerism, worker’s rights, exploitation. Economy illustration. 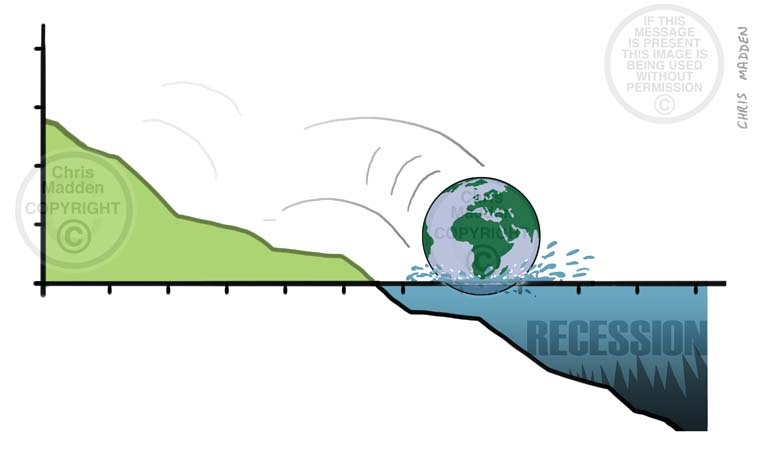 Graph showing the world plunging into recession. 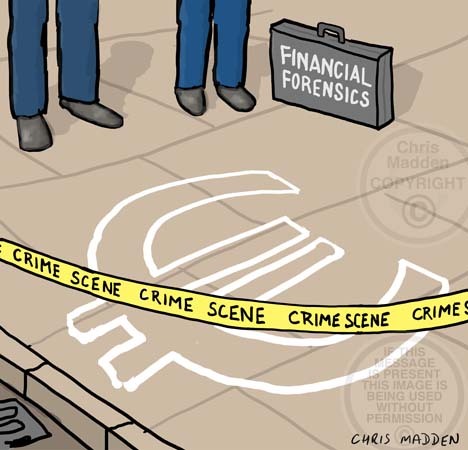 Showing a crime scene with the chalk outline of euro symbol on pavement to illustrate that it was the victim of a crime. A crime committed by bankers and financiers. An illustration about the credit crunch, financial crisis, recession, economic downturn, currency, single market, euro-zone, banking.